Darrel Bullock – has met with 4 Contractors and they have done inspections for the damages and what repairs would be needed. He has not received any written bids as of 6/20/16. Bob Swanson – has provided additional information to Security National Bank regarding the $100.000.00 Line of Credit loan. He is expecting to hear the banks reply on the loan by 6/24/2016. David Midland – I will be checking on the special grant MRHD (Missouri River Historical Development) is doing in July. I will complete the application and submit to MRHD. Darrel & Church Council – review bids received by Contractors. Bob Swanson and Shelley Hexom – sign loan papers as needed. Church Council - Set date for congregation meeting to vote on which bid to accept. Church Council - Announce congregation meeting – 14 day notice prior to meeting. Congregation meeting to vote on bids. Summary of the bids to be presented prior to voting. Darrel – work with the approved Contractor on a start date and work plan. Note – the roof work is dependent on the Contractor's availability and the weather. The Contractor may have jobs scheduled for several months. Purpose – to correct roof issues that are allowing water to enter the building from the attic and repair interior water damage to ceilings and walls. The water is entering near the bell tower and side steeples. The water is moving through the ceiling and behind walls. 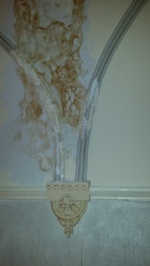 Evidence of water damage is present in the ceiling, walls in the balcony, main floor and lower level near the stairwells. The extent of the water damage or mold behind the walls is not known at this time. Sunday - May 29, 2016 at the beginning of the 10:15 am Service. 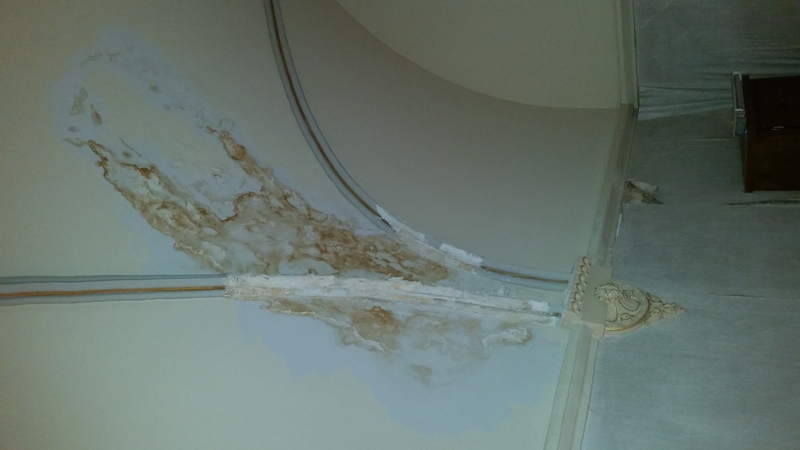 Permit Augustana Lutheran Church to obtain a bank loan of up to $100,000.00 to repair the Church roof and related interior water damage. 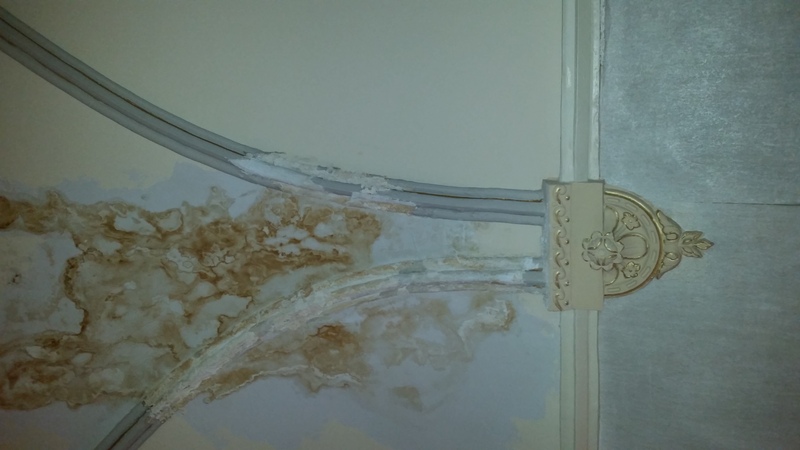 Authorize the Augustana Lutheran Church Council to solicit bids from qualified Contractors to correct roof issues and repair interior water damage. June 2016 (if above 2 items are approved on May 29, 2016) – Solicit bids from qualified Contractors. Augustana Lutheran Church Council will review bids received. Set Congregational meeting to vote on which bid to accept. Congregational meeting to vote on roof bids (requires 14 day notice & a quorum). 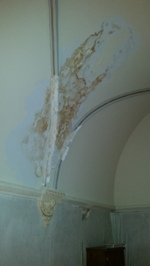 Contractor to complete roof repairs and repair interior water damage (dependent on their availability and the weather). Augustana Lutheran Church Executive Team – complete loan application / documentation as needed. Submit payment to Contractor upon successful completion of roof repairs and interior water damage repairs. If you would like to contribute towards the 2016 roof and water damage repairs – please make your check payable to "Augustana Lutheran Church" and note "2016 Roof fund" on the memo line. Contributions to this project would reduce the amount to finance and result in lower principal and interest payments going forward. Any contributions would be appreciated! We will check on grants for this project that may be available through Missouri River Historical Development (MRHD). They are doing a special grant program for 2016 starting in July 2016. Note – If bids are received in excess of $100,000.00, the Augustana Lutheran Church Council will need to re-group and determine where additional funding would come from or possibly reduce the scope of some of the repairs.